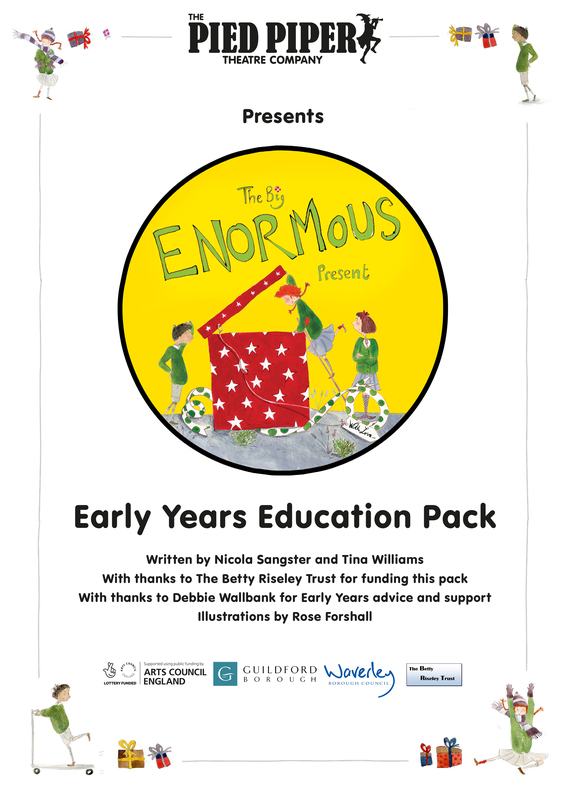 This pack has been designed to support, develop and extend learning based upon the story of The Big ENORMOUS Present. The activities within the pack meet the Areas of Learning across the Early Years Foundation Stage (2014) and support the Characteristics of Effective learning, which are the different ways in which children learn. Where our youngest children are concerned, stories are such an important part of developing communication and language skills, and to experience story telling in different ways is of huge benefit. The activities included in this pack, such as ideas for role play, should have an open-ended element allowing children to take their play in a direction that we adults may not have thought of. Here they have the opportunity to interpret, act out the moral dilemmas within the story and to change the ending, with sensitive adults in tune with children’s play at the highest levels of involvement. Providing activities in this way gives children every opportunity to be creative and imaginative, and develop story telling skills of their own.